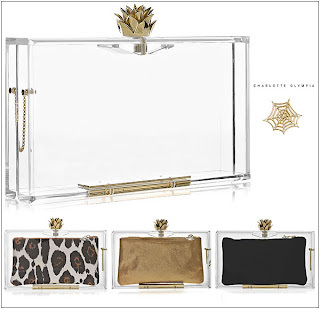 During Paris Fashion Week 2012, this Charlotte Olympia Pandora Perspex clutch was spotted and ever since stars and fashionistas alike have dared to bare all with it. It's simple, daring and ever changing by just swapping the bag inside to match any outfit. Now here's a thought: What an expensive plastic box! So, I decided to make one for myself. Just a few inexpensive pieces from a craft store, 15 minutes and I've got myself a trendsetting clutch! Enjoy on a night out!